We will welcome you at Marrakesh airport or in your hotel, in order to drive to Ouarzazate, a former caravan town on the silk and salt route in the eastern foothills of the Atlas Mountains. 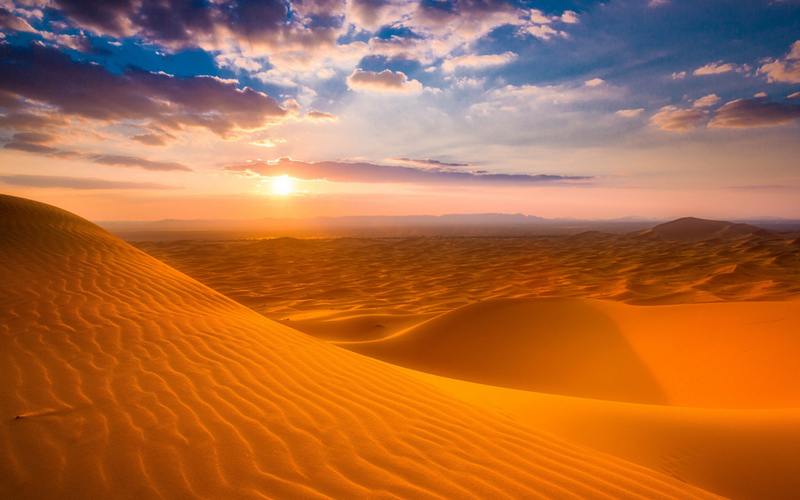 Ouarzazate is known as the Gateway to the Sahara. 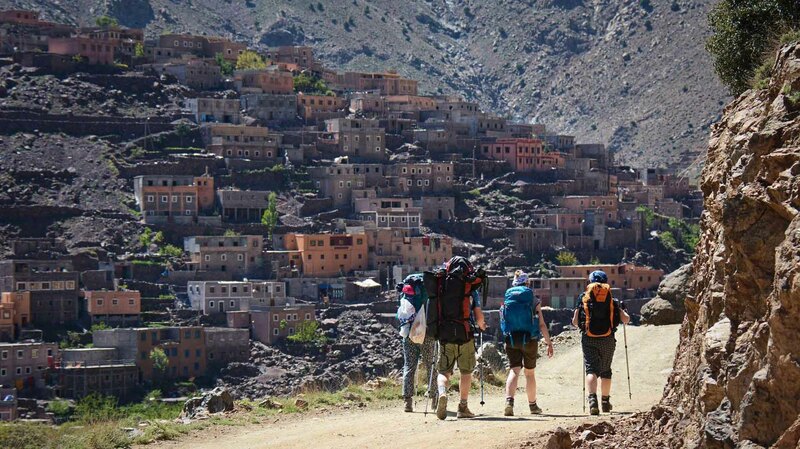 First of all, we will travel through the dramatic landscape of the High Atlas Mountains passing through the berber town of Taddert and over the 2260 meters high Tizi-in-Tichka pass. We will stop at the famous Kasbah Ait Benhaddou, 30 kilometers from Ouarzazate. The kasbah is one of the most intriguing red earth castles lining the ancient road of the Kasbahs, and is a UNESCO world heritage site. Lunch by the Kasbah and continue on our way to Dades Gorge via Ouarzazate, “The Hollywood of Africa”. On through the “Road of the thousand Kasbahs” - the fascinating sand castles. We will continue in our journey to stop at Kalaat Mgouna, “The roses City” known for roses and its annual festival during the roses harvest in May, and then continue to our hotel in the heart of the Dades Gorge. After breakfast in the hotel, drive back through the valley to see the amazing rock formation “The monkey toes”, and the still-standing 19th century Kasbah of Ait Yul. Leave the Dades valley towards Tinrghir and the Todra valley. Watch the panoramic views of the old mud Berber villages overlooking the valley. Get to the Gorge and walk under the 300m high red cliff, where many Rock-climbers come to enjoy their preferred sport. Continue our trip to Erfoud and Rissani where we have lunch; afterwards, we leave for the village of Merzouga , where your camel will be awaiting you. 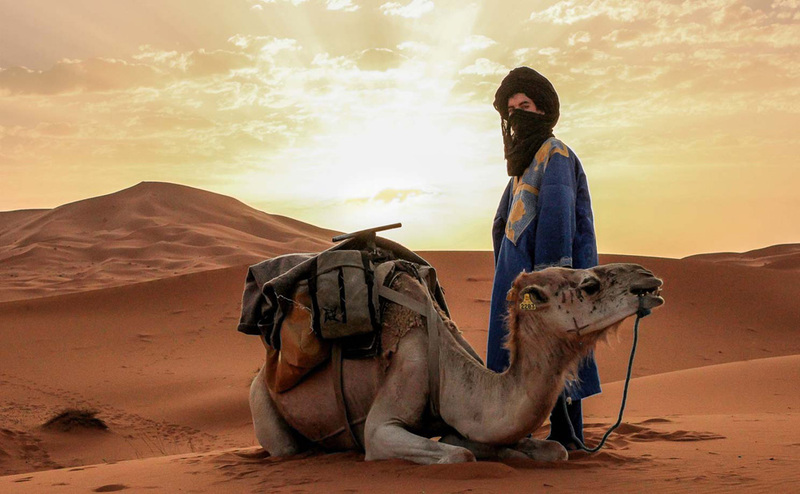 before you mount your camel, guided by an experienced Camel man, to explore within the mysterious sand-sea of the Erg-Chebbi. Here you will spend your night under the stars, or if you prefer, in a traditional Berber nomad tent. After breakfast, we will leave for Rissani (once Sijilmassa) is the foundation of the Alaouite dynasty, the current ruling family. With most of the woman veiled, and men hooded, this is a very traditional Moroccan town. 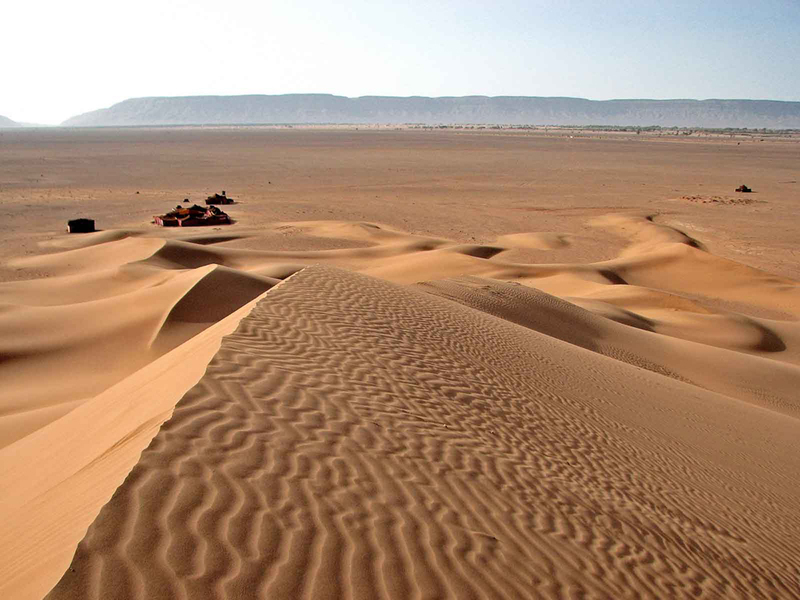 We’ll continue driving towards Ouarzazate via Alnif, Tazarine, Nkob and Agdiz; will enjoy the sightseeing of the fascinating Draa Valley which has hundreds of Berber Kasbahs; so as to continuing to Marrakech through the famous Tizi–in-Tichka pass over the High Atlas Mountains. The range has snow on its peaks most of the year. 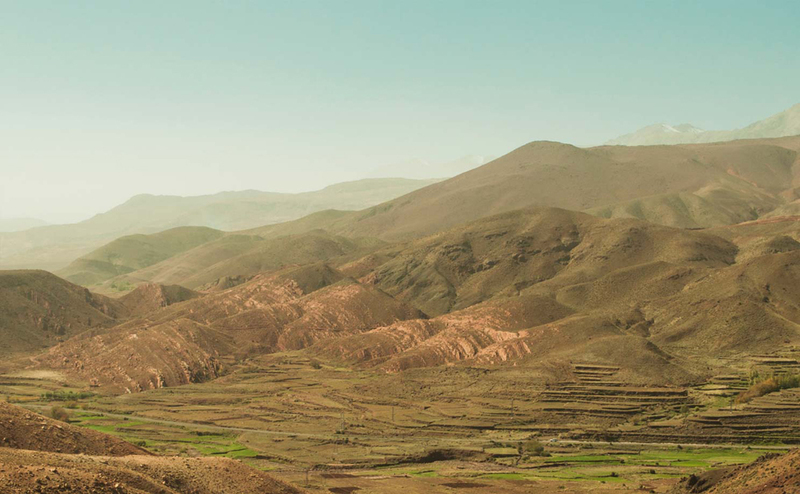 Appreciate the beauty of the timeless landscapes on the twisted roads through Berber villages. Arriving Marrakesh where the tour ends.